The Saturday Morning Session of the April 2018 General Conference just concluded. Along with millions of others, I had the distinct privilege of sustaining not just Russel Marion Nelson, Sr. as Prophet, Seer, and Revelator but also Gerrit Walter Gong and Ulisses Soares as new Apostles in the Quorum of the Twelve. I have been friends with Elder Gong since we entered BYU together in 1971 and know something of his sterling character. Cream rises. A finer man does not walk the earth. We as Latter-day Saints will be blessed to have such a capable, gentle servant helping direct the affairs of the Kingdom and bearing witness of our risen Lord in all the world. Biologically Elder Gong is Chinese. Culturally he is a Californian who grew up in Palo Alto, hiked the Sierra Nevada, attended BYU, served a mission in Taiwan, and then read at Oxford as a Rhodes Scholar. Professionally he is a diplomat. He was the number two man in the US Embassy in Beijing when the Tienanmen Square uprising broke out in 1989. He headed the Asia Desk at the Center for Strategic and International Studies, CSIS. He ran BYU's Office of Planning and Assessment under President Cecil O. Samuelson. As a General Authority he was President of the Asia Area, then one of the Seven Presidents of the Seventy. Elder Gong's father, Walter A. Gong (1922 - 2000), earned a Ph.D. from Stanford and taught science at San Jose State. Gerrit de Jong Jr. (1892 - 1978) for whom the de Jong Concert Hall at BYU is named, was a family friend and mentor. The "Gerrit Walter" in Elder Gong's name honors both men. Elder Gong's younger brother, Brian, has made an East Coast-based career in education assessment. His younger sister, Marguerite Hancock, left a career at Stanford and helps direct the Computer History Museum in Mountain View, CA. Just before Christmas, 1971, Gerrit and Brian joined my American Fork High School friend, Bruce McDaniel, and myself on a trip up American Fork Canyon to see the snow. We got my car stuck in the high country and it took us several hours of tough work to free the vehicle. It was almost midnight when we finally returned to Bruce's home in Alpine. Gerrit and Brian's parents, Walter and Jean, had been nervously waiting at the McDaniel home since 10:00 pm. Bro. Gong was not at all interested in our tale of heroic adventure. He grilled his sons on why they had broken their promise to be home by 8:30 pm. It was clear a promise to parents in the Gong home was a matter of some import. In early 1972, Gerrit Gong, Paul Cox, about a dozen others, and myself had the pleasure of meeting Elder Gordon B. Hinckley (1910 - 2008) in an intimate setting on BYU campus. As the gathering ended, Gerrit, Paul, and I walked with Elder Hinckley, then an Apostle, to his car [a Rambler Ambassador purchased in honor of Mitt's father, George W. Romney (1907 - 1995)] in the parking lot. We remarked on the singularity of our experience being in the presence of one of the Lord's anointed. A few weeks later Gerrit asked if he could come to work with me on a Saturday. I installed finish hardware in newly-constructed residential housing units in north Utah County. Although a highly-productive and disciplined scholar, he had never worked for wages at a typical job and was anxious for that experience. I helped him install shower and closet rods, medicine cabinets, doorstops, and door handles. At the end of a fun day together, I gave him a normal day's pay in cash. We went caving together and participated in some of the hi jinks (showing off for older coeds) that were routine at BYU in the early '70's. In mid 1972, Gerrit, Paul, and I had finished our freshman year at the Y and were contemplating missions. We took Bruce McDaniel and spent two weeks on Washington's Olympic Peninsula backpacking through the temperate rain forest and hiking the wilderness beach. One day amid glorious natural splendor we never got out of our sleeping bags. The four of us spent all day reading the Book of Mormon and discussing our philosophies of life. We took a box of missionary copies of the Book of Mormon on that trip and handed them out to people we met along the way including fellow campers, toll booth attendants, and a family in Port Angeles, WA who put us up for the night after we damaged our vehicle helping evacuate an injured Boy Scout. Elder Gong and Paul Cox spoke at my missionary farewell and the four of us all went on to terrific missions - Bruce in Missouri, Paul in Samoa (Paul's incredible experience was described in a lengthy article in Southwest Airline's September, 2016 in flight magazine), Gerrit in Taiwan, and myself in Peru. After returning home, Elder Gong gave a number of fireside presentations about his mission and his new-found appreciation for ancient Chinese culture. His mission was not easy because he looked Chinese but was not a native speaker. His presentations centered around the concept of "filial piety" or honor for one's forebears. Ancestry was also the subject of his memorable first talk in General Conference as a newly-called General Authority in October, 2010. I hosted Gerrit, his mother, and his sister at a performance of American Fork's Pageant of the Arts, a local adaptation of Laguna Beach's famed Pageant of the Masters that was a cultural icon in Utah County during the 1970's and '80's. Gerrit Gong is an avid photographer and seasoned negotiator. Both skills came in handy as he helped me purchase the Pentax camera I took on my mission. 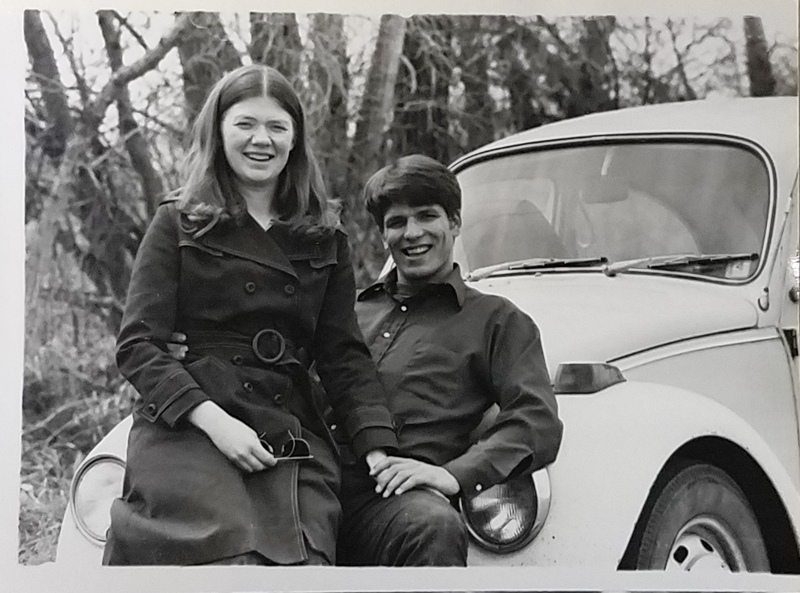 In early 1976 he spent a weekend in Vernal, UT taking Shannon's and my pre-wedding photos. On the way home he was driving my yellow VW bug and we slid on an icy spot in Daniel's Canyon which nearly sent us hurtling headlong down the embankment into Daniel's Creek below. After that scare, we pulled off to the side of the road and offered a prayer thanking our Father in Heaven for protecting us. Elder Gong took our wedding photos on the Salt Lake Temple grounds and the candids at our reception that evening. Elder Gong married Susan Lindsay, daughter of Richard P. (1926 - 2010) and Marian Lindsay, in 1980. We enjoyed their reception in the Lion House on Temple Square. Susan's father served in the Second Quorum of Seventy from 1989 - 1994. Susan's brother, Bruce, was a popular news anchor on KSL TV before his 2012 call to preside over the Australia Perth Mission. Gerrit and Susan have four accomplished children. I visited Gongs and went to church with them while they were living in McLean, VA. We had lunch together at BYU while he was serving on Pres. Samuelson's staff. Shannon and I spent an evening with Elder and Sister Gong just after his call to the First Quorum of Seventy while they were still living in the Abraham O. Smoot (1815 - 1895) farm home on the Provo bench. In 2011 while I was serving as Bishop of the BYU 172nd Ward, Elder and Sister Gong visited us and spent the three hours getting to know the wonderful married couples in our ward. He asks probing questions and listens with genuine interest. He is probably the most cerebral of the General Authorities (Ph.D. from Oxford) but he does not wear his formidable intellectual prowess on his lapel and he respects everyone around him regardless of their station in life. Cream rises. A finer man does not walk the earth. 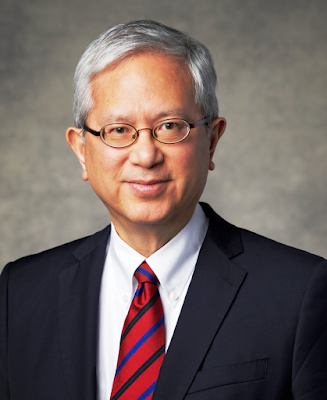 We as LDS will be blessed through Elder Gong's apostolic ministry. And Pres. Nelson, no stranger to the Chinese people, could hardly have a better right hand man on all matters Asian. For a similar 2015 take on Elder Gong, see the blog article "New Apostles." - Kirk Magleby, volunteer Executive Director of Book of Mormon Central, the premiere source for reliable Book of Mormon enrichment material in English and Spanish.